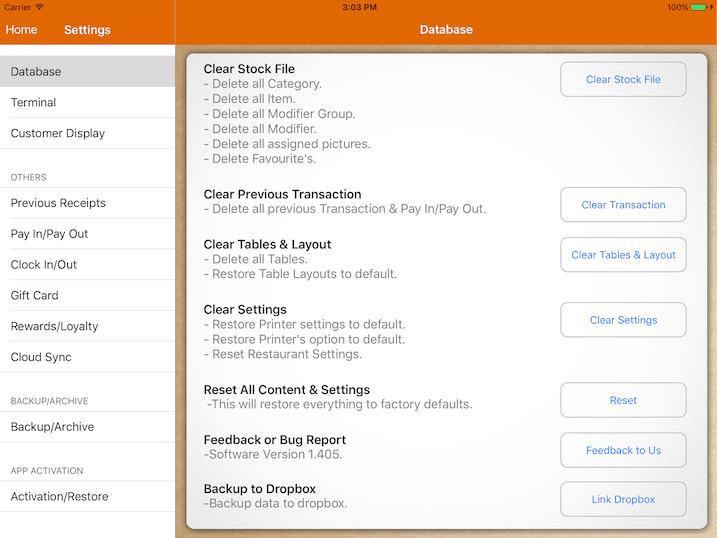 Clear stock file delete all listed, this will affect your report if you have transactions. Use this only if you are setting up a new restaurant. This will delete all your previous report and reset transaction back to #000001. You could do this on the opening day of your restaurant. If you face any issue with the application, you could send us your log. Your log contains all information about your application current state. If you sign in with your dropbox account, it will backup your database and pictures to Dropbox automatically.